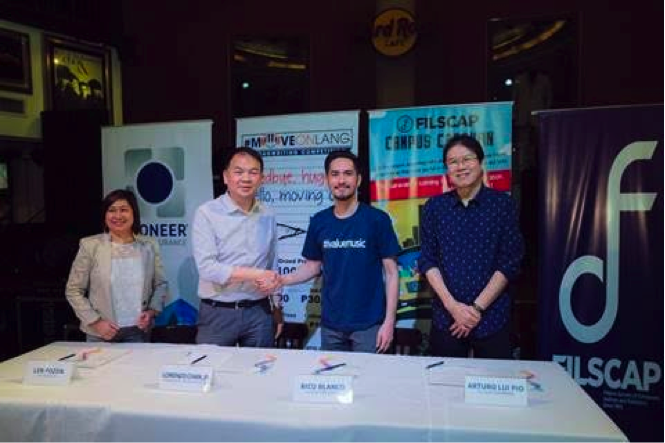 FILSCAP and Pioneer partner for College songwriting talk, competition - Hello! Welcome to my blog! 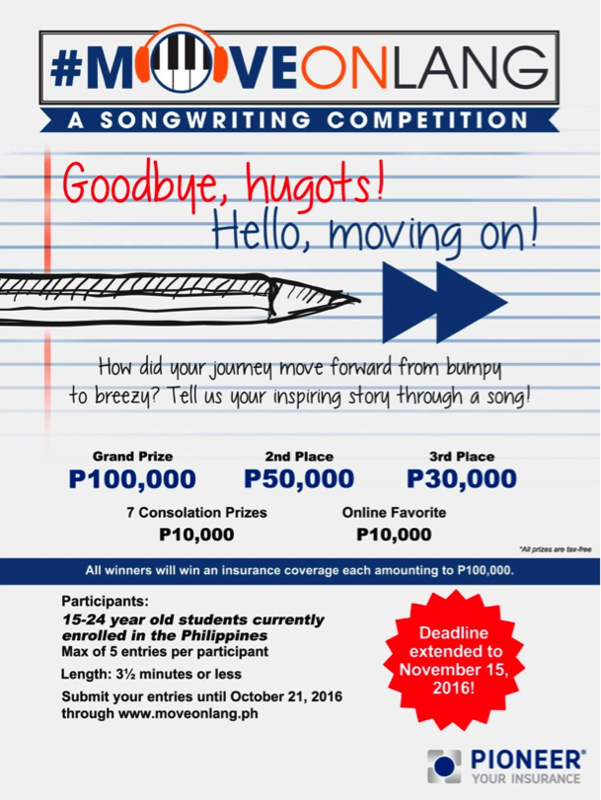 This 2016, the Filipino Society of Composers, Authors and Publishers (FILSCAP), the sole and official music copyright society in the Philippines, together with Pioneer, one of the top life and non-life insurance companies in the country, launched the FILSCAP Campus Caravan, a college songwriting talk that aims to guide aspiring musicians in the different aspects of songwriting. During its run, the FILSCAP Campus Caravan has visited the University of the Philippines Diliman, University of Santo Tomas, University of Makati, San Beda College Alabang, University of Makati, De La Salle University Manila, University of the Philippines Los Baños and University of Mindanao Matina Campus. Each visit had a songwriting talk and question-and-answer session with well-known Filipino songwriters like Rico Blanco, Yael Yuzon (Sponge Cola), Gloc 9, Champ Lui Pio and Roll Martinez (Hale), Eunice Jorge (Gracenote) and Raimund Marasigan (Sandwich, Eraserheads). The Campus Caravan also introduced the second part of FILSCAP and Pioneer’s collaboration – The #MoveOnlang Songwriting Competition. to register and submit their entry. 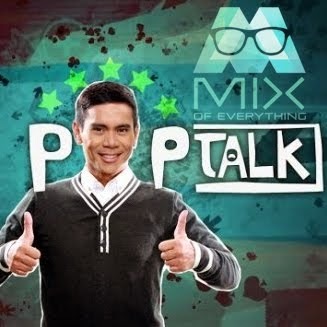 Over Php 260,000 in cash will be given away, with Php 100,000 being the grand prize. Winners will also receive insurance coverage from Pioneer, while a special prize will also be awarded to the Online Favorite. A staunch supporter of the arts, the Pioneer Group of insurance companies constantly finds fresh ways to reach out to the Filipino with insurance that covers what they value most. Finding inspiration in media such as visual arts, film, music, and theater, Pioneer gives back by sponsoring, covering, and promoting events and concerts, which include Beyoncé’s "The Beyoncé Experience: Live in Taguig,” Eraserheads’ “The Final Set,” Aerosmith’s “The Global Warming Tour,” Lady Gaga’s “Born This Way Ball,” Jennifer Lopez’s “Dance Again World Tour,” and Madonna’s “Rebel Heart Tour,”as well as music festivals such as Good Vybes, Wanderland, Paradise International Music Festival, and MTV Music Evolution 2016. ComCo Southeast Asia is the official PR partner of the FILSCAP Campus Caravan and #MoveOnLang Songwriting Competition.